I’m no expert on spotted seatrout biology or mortality, but for some reason the Big Bend saw a decided decline in that fishery this past year. 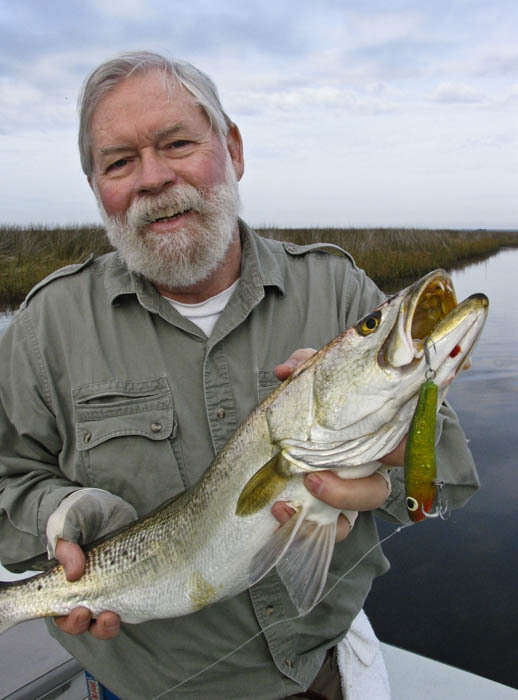 At first, trout were scarce from Tampa Bay to Apalachicola, and then they started to bite. However, anglers catching a hundred a day only caught three or four keepers. Some fishermen blamed the weather, red tide and some even said that big smoothback pufferfish ate the juvenile trout stock after coming ashore from deep water. But all those 14-1/4 inch seatrout stayed around through the summer and many have grown up and are now over the 15-inch minimum. Even a few big tropical storms didn’t run them off. In fact, in the weeks after that Labor Day storm, catches of slot-sized trout were the rule, rather than the exception. 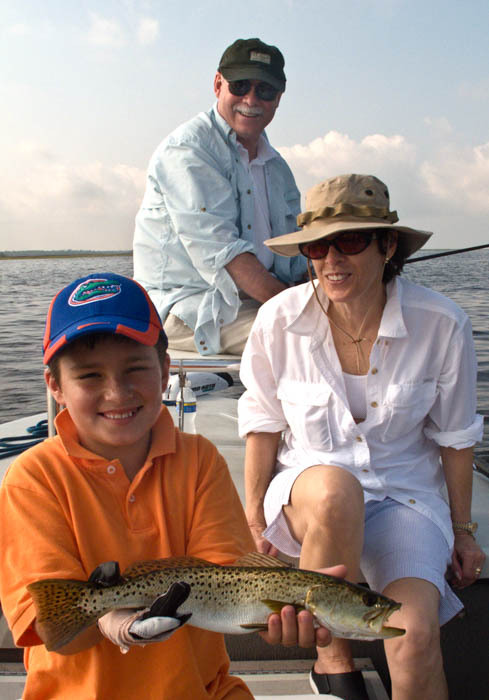 On of the first locations that produce wintertime seatrout is the Steinhatchee River, in Taylor County. 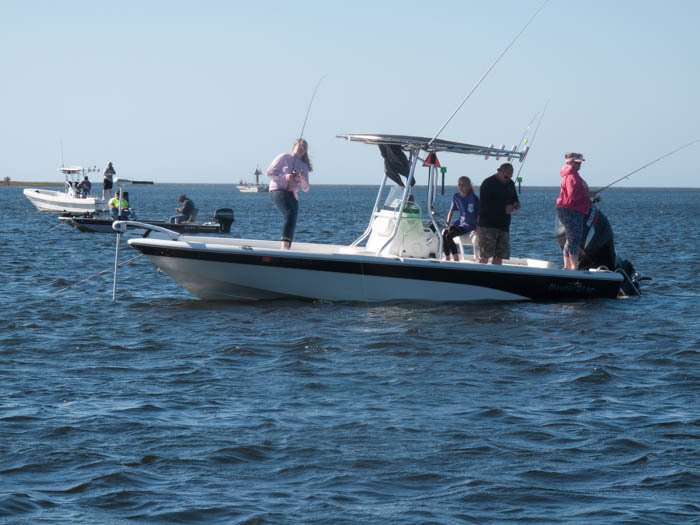 At the first sign of chilly weather, point your boat west towards the Gulf and the channel near marker #26. . If it’s cold and overcast, trout will be in the deep channel. If it’s cold and sunny, they’ll move to the dark muddy channel edges on both sides of the river. In either case, it’s all about keeping their cold-blooded bodies warm. As it gets colder (I’ve had ice on my boat’s deck in December! ), the trout head upriver. Their first stop is the deep Suicide Hole, where seatrout go to commit suicide in the winter. It’s just downstream from the Jena boat ramp and the Sea Hag Marina. Another spot is the Croaker Hole, upriver past the bridge and under the power lines. In addition to these top trout hotspots, there are others, sometimes more unpredictable and more dependent on human influences. The Horseshoe Beach channel between the spoil banks can be good, as can Pat’s Elbow in the Withlacoochee River at Yankeetown. And if the power plant discharge St. Marks is pumping warm water, be sure to give it a try. If you contact Shields Marina in St. Marks, they’ll likely have up-to-date information.